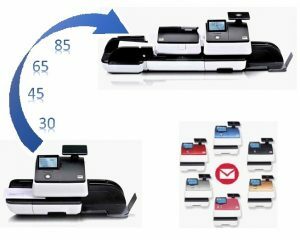 Franking Machines (Postage Meter) Why Use One? 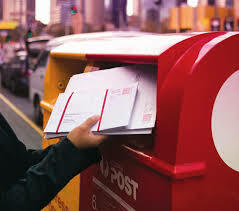 Franking Machines are also known as Postage Meters! The first Franking machines was invented in 1886 by Mr Engle Frankmussler, manufacturing of the machine began 1912. Francotyp Postalia began manufacturing Franking Machines in 1923 and continue to produce high-quality mailing equipment in their Berlin factory today. The latest Postage Meters (Franking Machines) are able to be updated remotely, can easily be customised to suit specific applications, and will print a variety of logos or marketing messages on all outgoing mail, making today’s Franking Machine an essential business tool! Our Machines are the latest in technology, with only 1 on/off button, the machine is operated via a touchscreen with the ability to change and adapt in the same way as a current style ‘Smart Phone’. 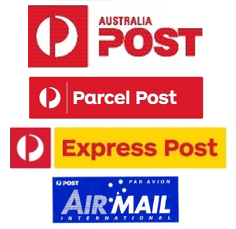 Save an average 10c per letter and 20c per parcel. Pay for ‘Express Post’ ‘Registered Mail’ ‘Airmail’ ‘Satchels’ all from the comfort of your office. 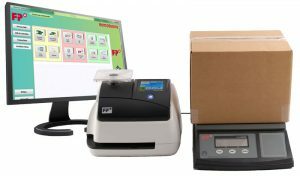 With our latest model Postage Meters (Franking Machines) you can start with a basic model and increase speed, scale capacity, account functions and more at any time, we can even add an Automatic envelope feeder if required. As a Wholly Australian owned company, we’re large enough to offer quality service Australia wide and small enough to give personalised service. For more information please fill in the contact form and someone from our office we’ll be happy to call you!